R and I went to Bandar Aden for iftar. They brought us tons of stuff including dates, orange juice, samosa, and lamb soup. Yum! 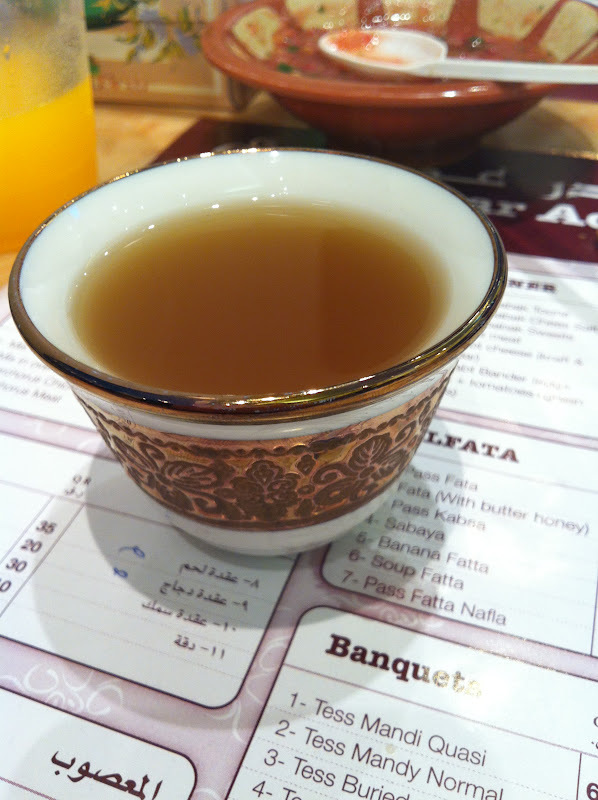 After they also brought us some Arabic coffee.